Celebrate with `Til Dawn and DELTA RAE! 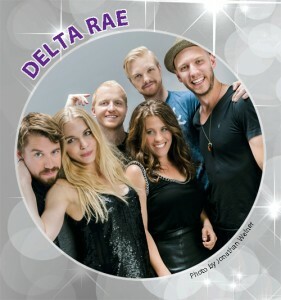 Delta Rae, which includes four `Til Dawn alumni—Ian, Eric and Brittany Holljes and Elizabeth Hopkins—will share the stage with current `Til Dawn teens and a chorus of 45 other alumni of the group (“Still Dawn”). Frequently compared to a Rumors-era Fleetwood Mac, Delta Rae has been lauded for its “unique blend of blue-eyed soul and Americana rock” (Rolling Stone Magazine). Come enjoy a warm and wonderful celebration of `Til Dawn’s anniversary, the power of music and the New Year. 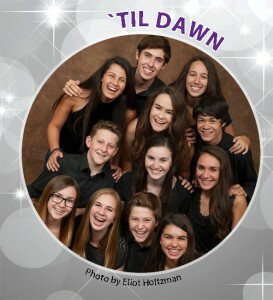 Ticket sales benefit the `Til Dawn scholarship fund. This year’s event will be held at the Great American Music Hall in San Francisco–a special venue for a special anniversary year! Celebrate with Delta Rae, `Til Dawn and our “Still Dawn” chorus of alums home for the holidays! A full menu of food and drinks will be available for sale–enjoy dinner while you enjoy the show! This is an all-ages event. Guests over 21 will be asked to show ID if they wish to order from the bar. General Admission tickets can also be purchased in person at the Great American Music Box Office at 859 O’Farrell Street in San Francisco, or at Slim’s Box Office at 333 11th Street in San Francisco, from 10:30am to 6pm M-F (or whenever there is a show going on). If you have questions, call Youth in Arts at 415-457-4878. We look forward to seeing you at this exciting night of music and celebration! F. Lofrano & Son, Inc.